Nobody enjoys spending a lot of money on car insurance, but that’s the only way to protect yourself from the financial consequences of getting into an accident. The car crash doesn’t even have to be your fault. You might have to pay for car repairs and medical bills if the other driver was uninsured or under-insured. Since you can’t predict when accidents happen, it’s best to get the best coverage you can afford. Even though most states require drivers to carry car insurance, there are plenty of people who let their policies lapse. If you get into a car crash with an uninsured motorist, you will have to come up with the money to pay for car repairs and medical bills. Both can be extensive, and depending on your financial circumstances, they may even cause financial hardship for your family. Fortunately, you can prepare for this type of scenario by opting for uninsured motorist coverage. Most auto insurance companies provide you with a default coverage amount, but you can increase this amount at your discretion. While it doesn’t make sense to spend more than you need on insurance, you probably don’t want to be left standing in the rain when something devastating happens. If you don’t think getting into an accident with an uninsured driver is likely, you should keep in mind that the potential costs can be mind-boggling. In fact, it’s not unusual to spend tens of thousands of dollars in the aftermath of a car accident – not to mention the challenges of making a full recovery after being injured. Many people underestimate the costs of vehicle repairs. Unfortunately, even a minor accident can cost thousands of dollars in car repairs, especially if the airbags have been deployed. In most cases, used airbags must be replaced, and this can cost several thousand dollars. If there is damage to the body of your car, you can also expect the car to be in the shop for quite some time. Nowadays, most cars are diagnosed using the car’s computer. Just diagnostics can cost you several hundred dollars, and something as simple as replacing the bumper will easily cost you a thousand dollars or more. All in all, car repairs are rarely cheap, and you can expect to pay even more if your car is a newer vehicle. There are times when you can drop some of the coverage on your car. If you have taken out a loan for your car, your lender requires you to carry adequate insurance to protect their asset. Unfortunately, many people drop insurance coverage as soon as they have paid off the loan, but this could be a mistake. 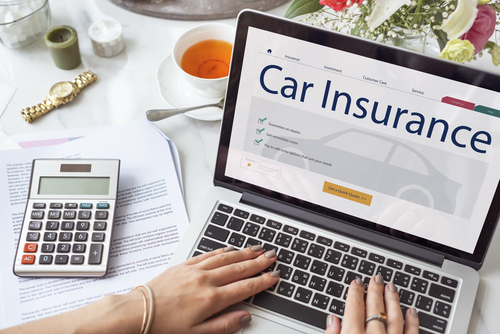 If you have significant savings in the bank and can replace your car or cover the repairs in case of an accident, you might be able to drop some of your coverage. Additionally, if your car isn’t worth much and you’d spend more than 10% of its value on insurance, experts suggest that it’s better to drop coverage. We think it’s better to play it safe and stay fully insured unless you have the financial cushion to cover the type of expenses you can expect after a car crash. You definitely don’t want to have to deplete your retirement account to replace your car or pay for hospital bills. You should also make sure that you always have sufficient uninsured motorist coverage. It’s a good idea to go over your insurance policy every year. While you’re welcome to shop around for a better rate at this time, you also need to pay attention to your limits and your deductibles. If your deductible is $1,000, you must have that amount of money set aside in a savings account. Otherwise, you should lower your deductible to an amount you can reasonably cover in case something happens. Car accidents can be traumatic. The last thing you should have to worry about is financing car repairs and medical expenses. Buy yourself some peace of mind and make sure you have adequate car insurance. If you have already been in a car accident, we’re here to help you get the compensation you deserve. We’ll negotiate with the insurance company on your behalf and make sure that you’re getting paid what your claim is worth. Give us a call or use our contact form to get in touch!